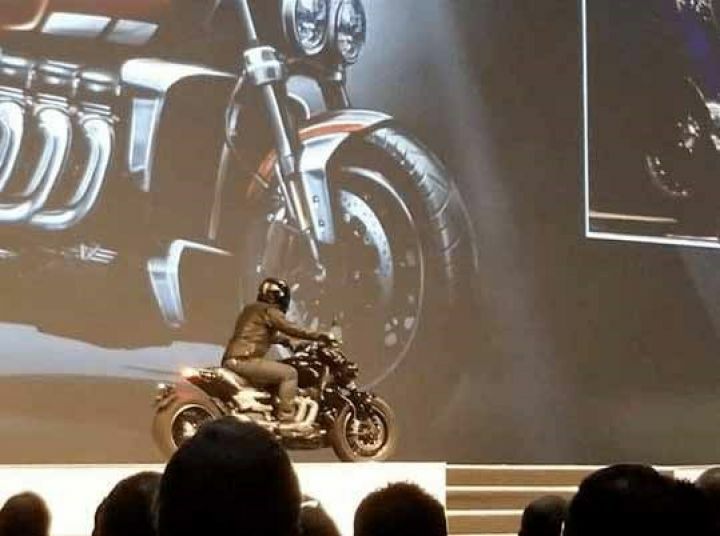 Home Bikes 2019 Triumph Rocket III Details And Pictures Leaked! 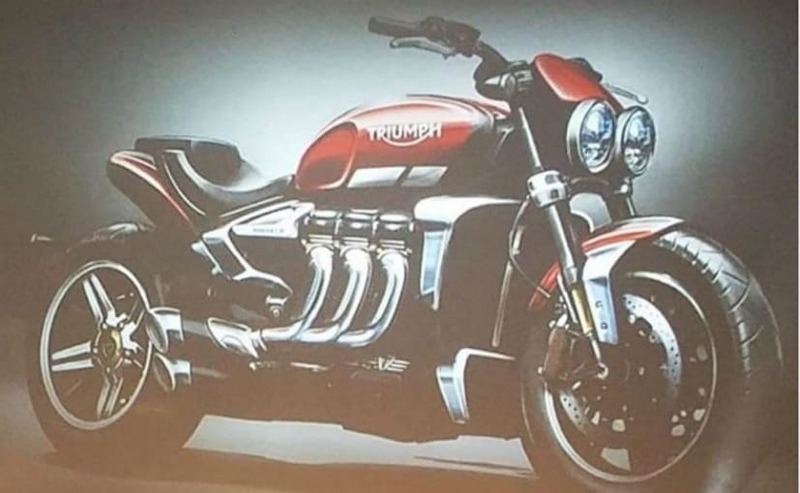 2019 Triumph Rocket III Pictures And Details Leaked! 2019 Triumph Rocket III Details And Pictures Leaked! What comes to your mind when you think Triumph. The brutal street naked Triumph Street Triple RS? or the 600cc Superbike Daytona? Or maybe the adventure tourer Tiger. But Triumph also makes one of the most powerful cruisers of all time, Triumph Rocket III. Well, we have got pictures and details of the new Rocket III coming in probably 2019. And guess what it’s getting a bigger engine, more power and torque! As of now, Triumph Rocket III gets a 2,294cc, inline three mill(in typical Triumph fashion), producing an astounding 148 hp and 220Nm of torque. If that wasn’t enough Trimpuh is planning to plonk a bigger motor, possibly a 2.5L engine which can develop around 180hp and even more torque. The thing about Rocket III is that it makes all that torque around 2,750rpm! There are changes in the looks too. It gets a new cowl, new exhaust tip design, new fork, and a new single-sided swingarm. The rear is raked upwards and ends before the tyre. Rocket III might also shed some wight as the previous one was 367kg. Up front the new Rocket III should get an all LED set up, larger brakes (Brembo M50), cornering ABS, and a TFT colour instrument cluster like all modern Triumphs. While Triumph has not yet confirmed anything about the bike launch, reports suggest that the bike will be launched in 2019. Triumph India should launch the new Rocket III in India soon after its International launch. The old Triumph Rocket III when available in India cost around Rs 20 lakh (ex-showroom, Delhi). The motorcycle is likely to make its debut at the 2019 EICMA. Previous articleOnline booking For Jawa Closed Till Next September 2019! Triumph are vrooming the wrong road for me . The new giant rocket will stun many but i wish they’d build a lighter , smaller capacity machine for us old Triumph Tykes in Yorkshire .